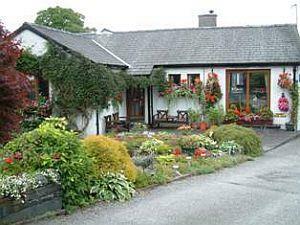 Orchard Cottage Bed & BreakfastOrchard Cottage is centrally situated in Coniston village. Excellent accommodation with three attractive en suite rooms all on ground level. Tea and coffee making facilities. TV's in all rooms. Guest lounge with TV, separate dining room. Private parking, no smoking. Open all year except Christmas. Most major credit cards accepted. Orchard Cottage is centrally situated in Coniston village. Excellent accommodation with three attractive en suite rooms all on ground level. Tea and coffee making facilities. Guest lounge with television, separate dining room. Orchard Cottage sometimes limits bookings to 3 or more days. room 1 sometimes limits bookings to 3 or more days. Room can be used as a twin or a double. TV in room. room 3 sometimes limits bookings to 3 or more days. Situated on the A593 from Ambleside. By bus from Windermere, Ambleside and Ulverston. This b&b completely met our requirements and was a comfortable homely place to stay in the village. The facilities, shower etc. were all fully functional and in excellent order. Pubs and restaurants are nearby but not invasive and it is 10 minute walk from the village to the lake. Breakfast was great. Ideal.